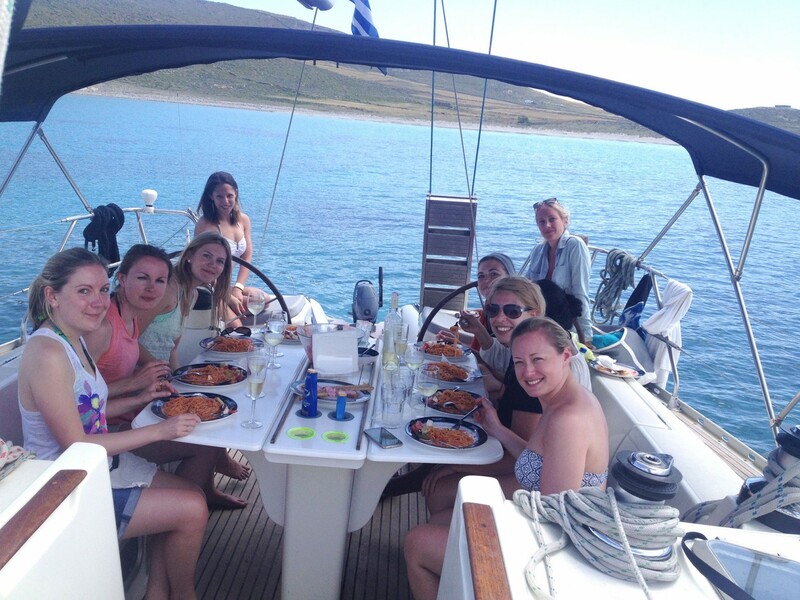 Very nice day cruise around Mykonos on a traditional "kaiki" with nice snacks delicious on board. 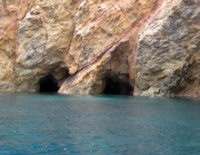 You will be picked up by our complimentary shuttle transportation to reach the embarkation point. One of our cruise representatives will greet you and give you an overview of the cruise itinerary. 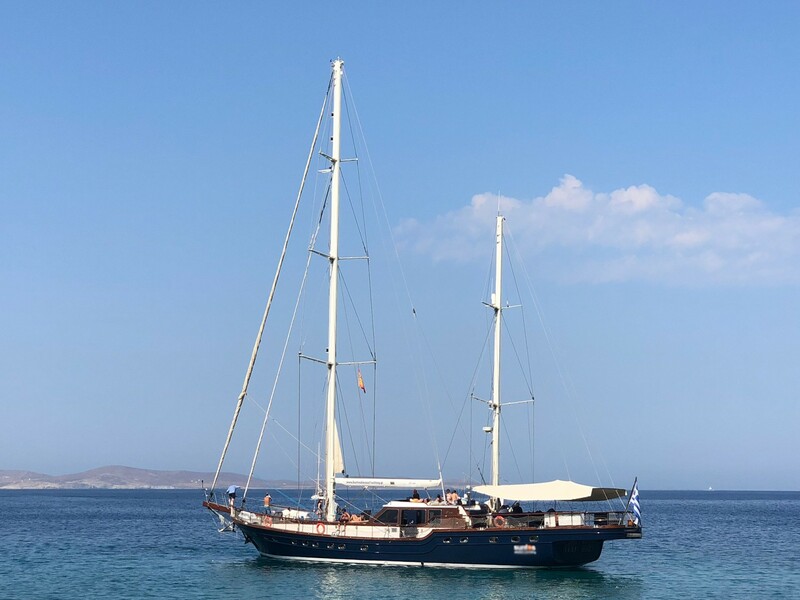 A short tender ride will follow from the small dock in order to embark the sailing yacht anchored out in Agios Ioannis bay and waiting for you. 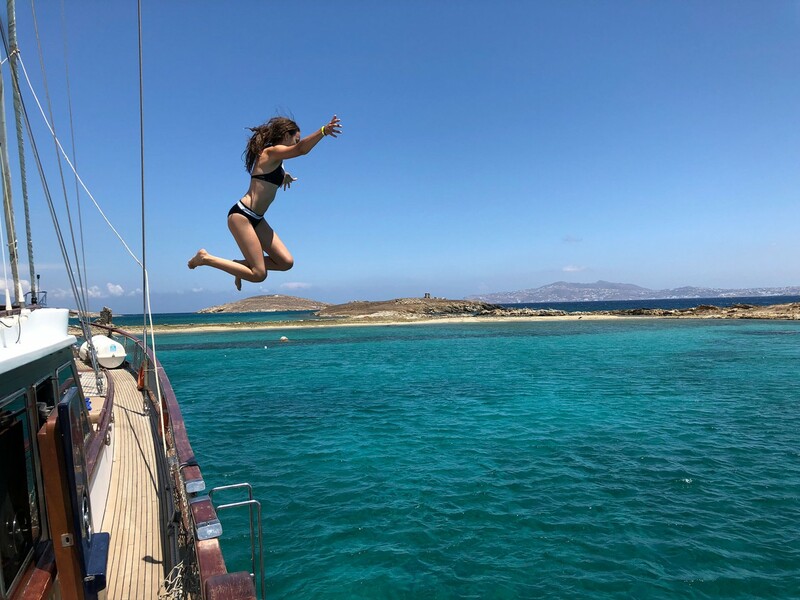 Once an overview of the sailing yacht and important safety information are introduced by the crew, at 09:30 am we set sail heading to Rhenia & Delos islands, the center of the Cyclades and located few miles south-west of Mykonos. 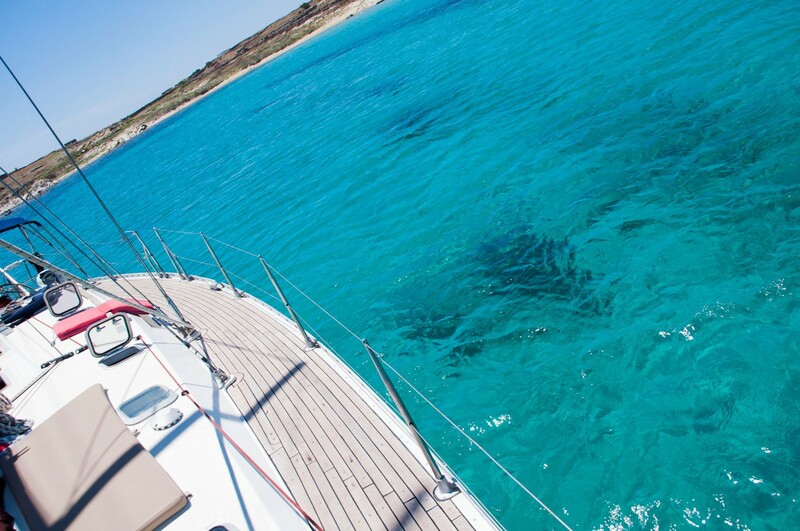 As we sail, the crew will be happy to show you how to raise and trim the sails as well as to steer the yacht, weather permitting. 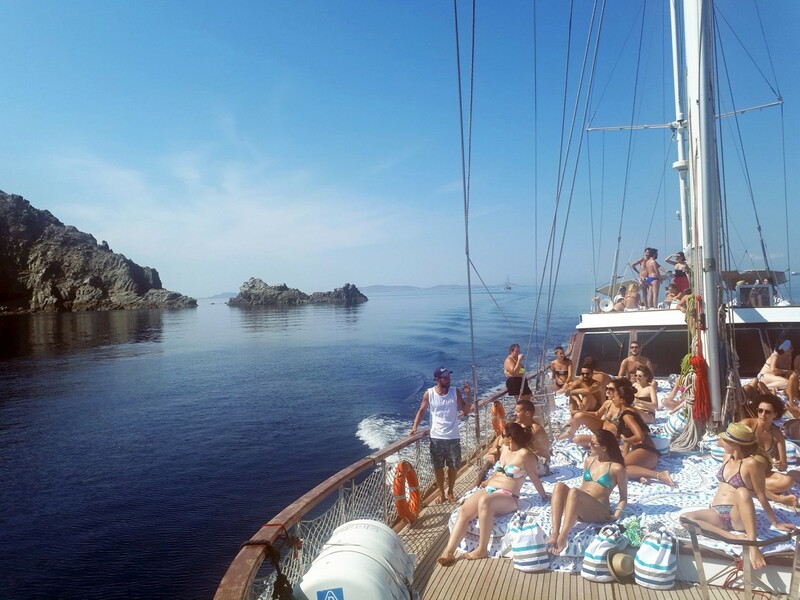 Gaze out at the beautiful scenery and the remarkable crystal blue water of the Aegean Sea, chilling out to the tunes of your choice and relaxing as you sunbathe on deck. 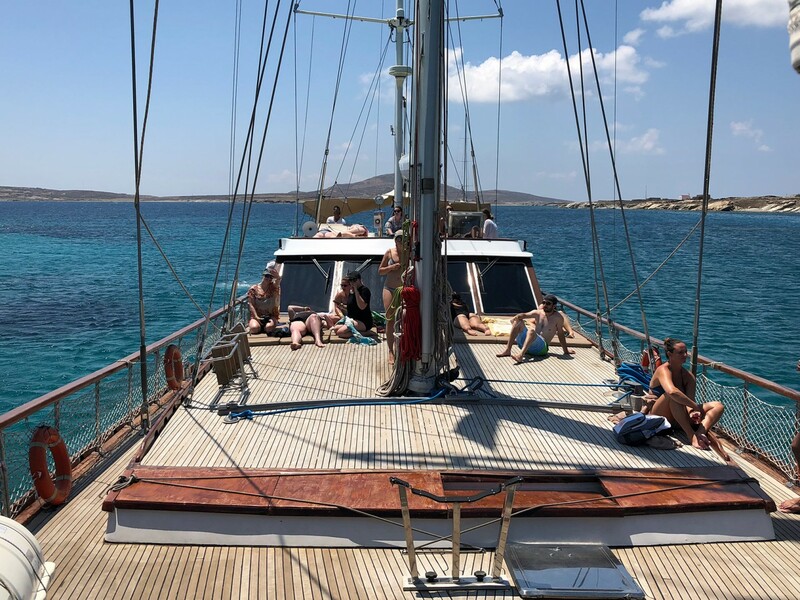 After approximately 1 hour sailing, we will arrive at the untouched island of Rhenia, separated from the sacred island of Delos by just a small strait. 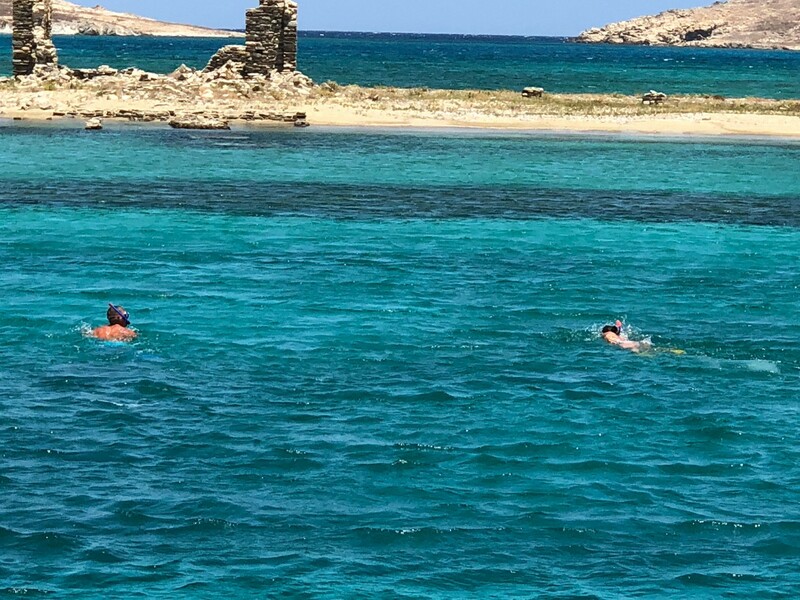 Dropped anchor in the idyllic bay surrounded by crystal clear turquoise waters and with gold sandy beach, enjoy swimming and snorkeling. 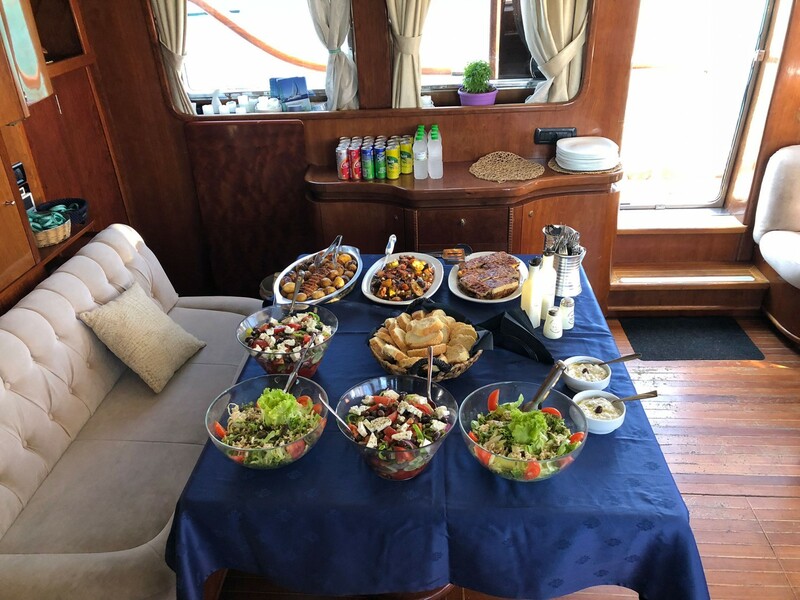 Light lunch on board is ready. It is specially made Italian pasta with Greek flavored dressing instantly cooked on board, Greek salad and juicy seasonal fruits. A selection of complimentary house wine and soft drinks are also offered. 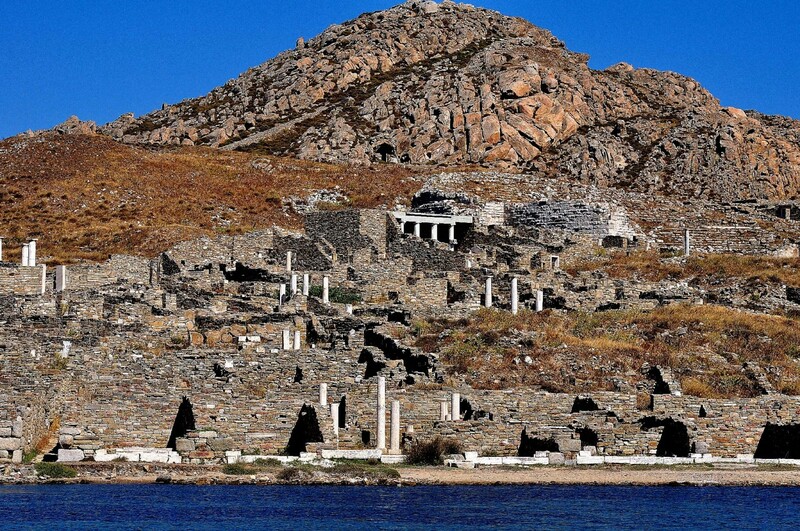 After approximately 2 hours spent in the untouched islet of Rhenia, the next stop is Delos Island, one of the most important archaeological sites of Greek history for our Licensed Guided Tour. 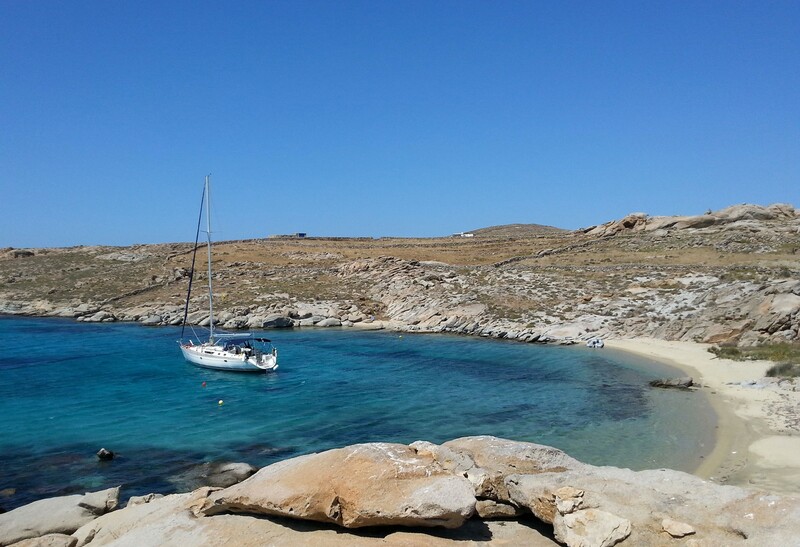 We spend about 1½ hour with our professional Englishspeaking guide and about 30 minutes free time exploring the UNESCO-listed Island of Delos, visiting the museum, walking up Mount Kynthos (367 feet high) and admiring the staggering array of ancient ruins. 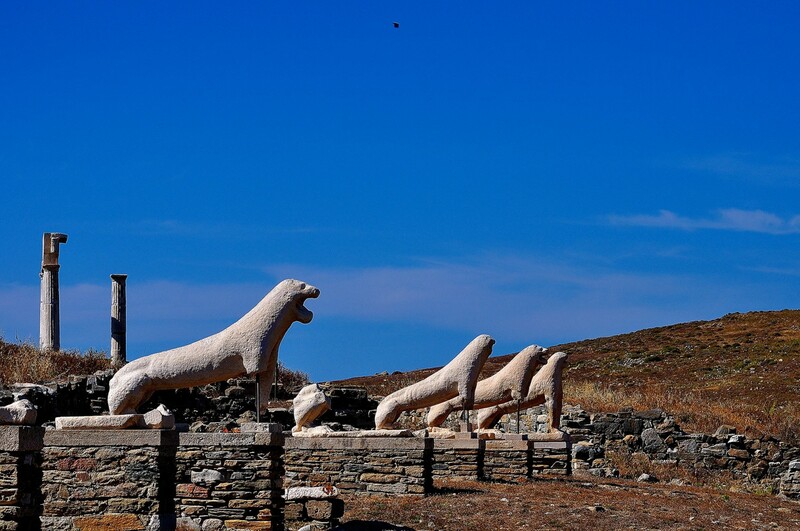 According to mythology, Delos is the birthplace of Apollo and Artemis, and the sanctuary to both gods serves as the center of a large Hellenistic city of about 30.000 inhabitants. 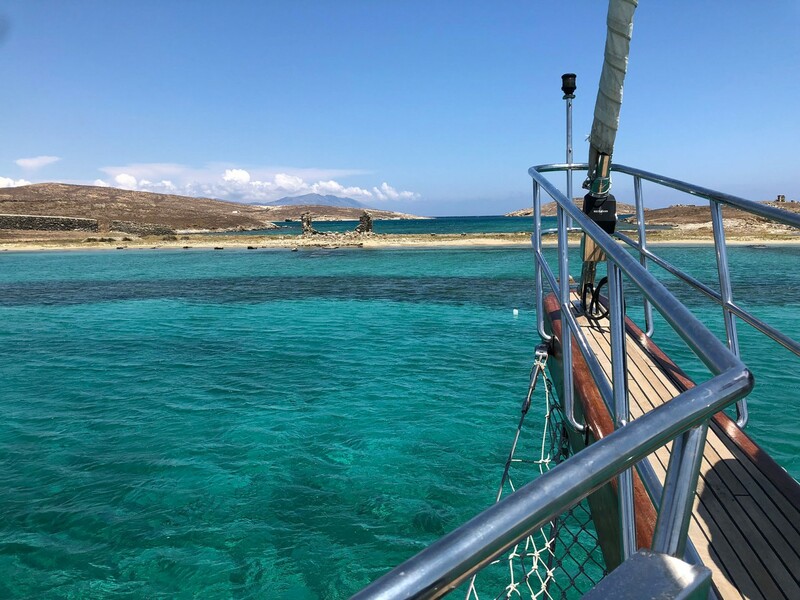 For those who prefer to stay on board we will sail for a second beach stop for swimming in one even more stunning pristine bay of Rhenia Island. 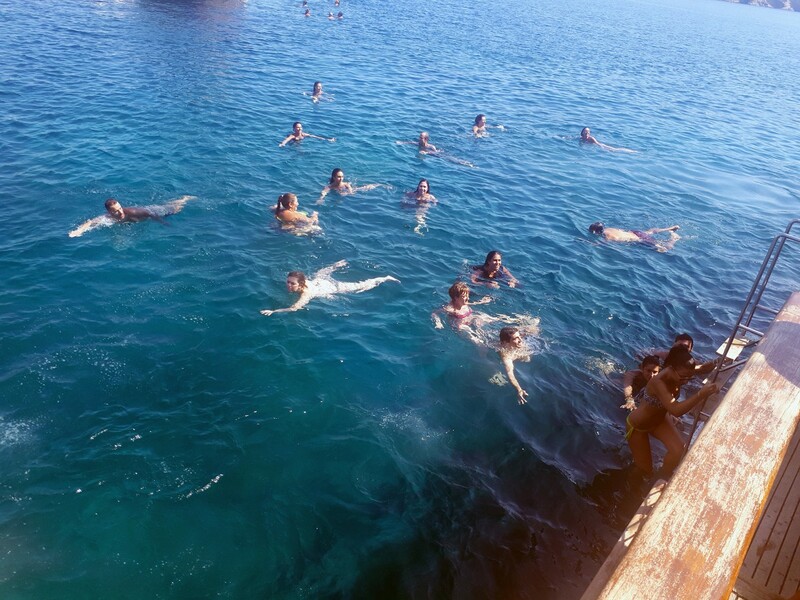 It is all about a flexi program where you are free to choose the best way to enjoy your time! 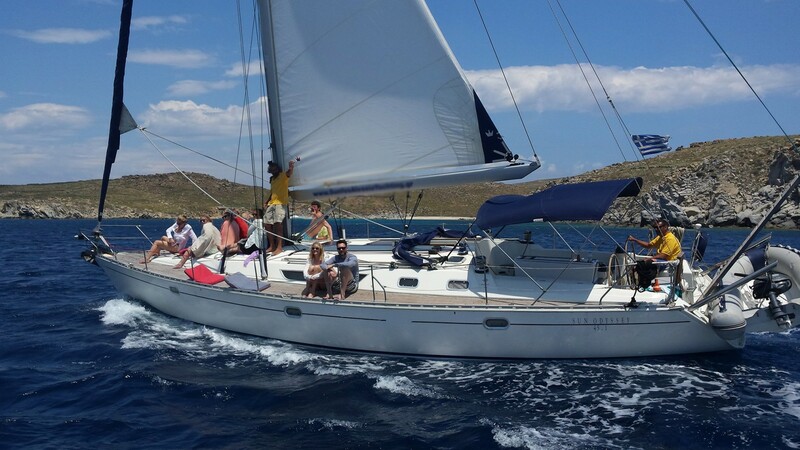 We are ready at 03:30 pm to sail back to Agios Ioannis bay. Arrival is scheduled by 04:30 pm. 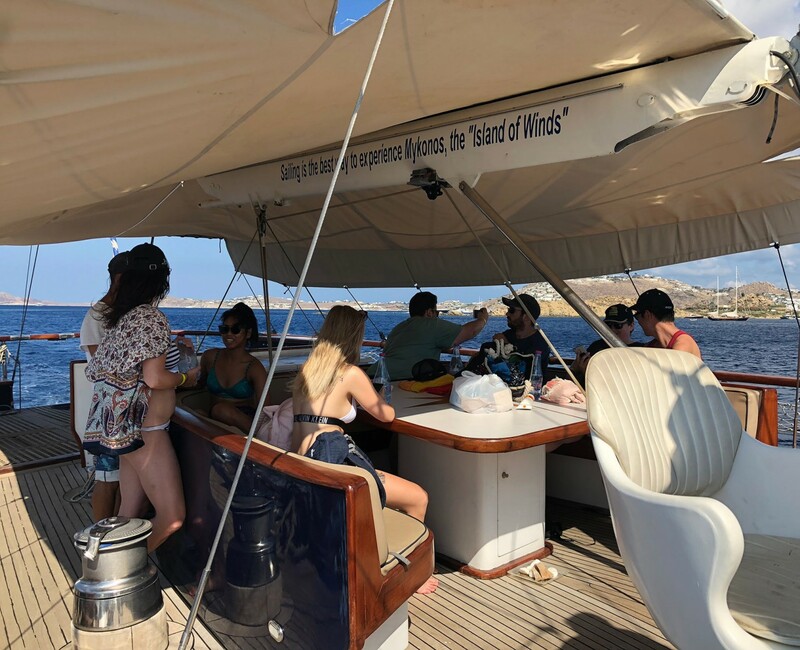 Our crew will help you disembark by a short tender ride to the small dock in front of the Church of Agios Ioannis where our complimentary shuttle transportation will be waiting for you. 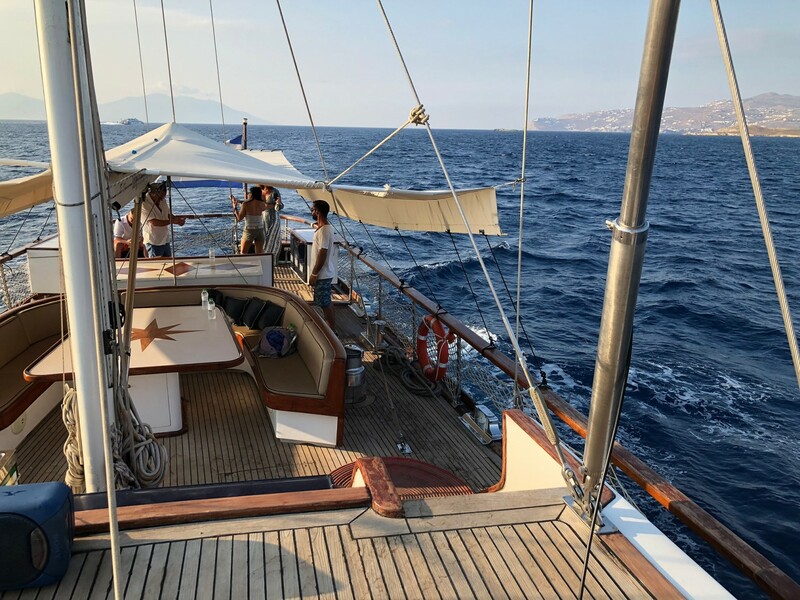 We will say goodbye in the Greek way with a farewell drink toast and returning home full of euphoria for having shared with you our Greece, whose destiny is bound to the sea and sailing is the best way to experience it.